Great tutorial. I’m going to give this one a try. I can see a lot of applications. Thanks. Glad it was helpful, Monique. This is rad! Thanks! If you also did an “Event” post like this, I would REALLY dig it! I love this new feature, but do I have to choose the layout from library each time, do I? So if I want to use it in woocommerce and I have 2000 products, is there a way to display my template by default in published products? It will be very helpful and will take divi to another leves I guess. Thank you for each upgrade I really apreciate. 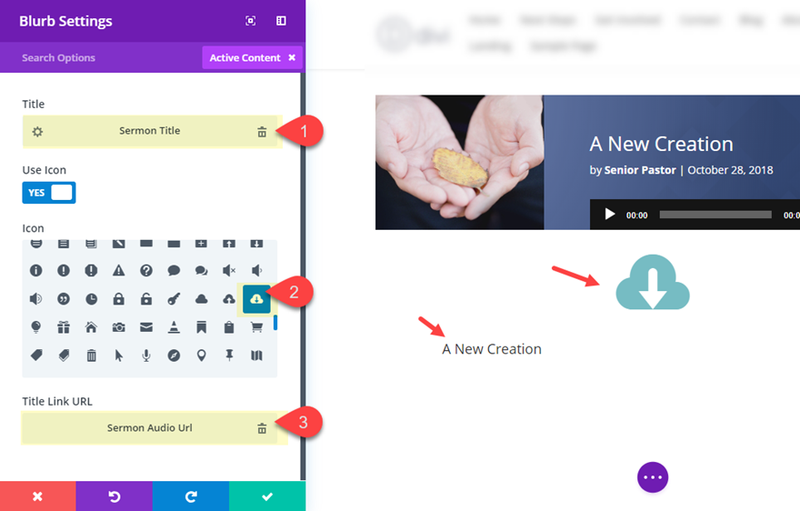 Isn’t this just duplicating what you would do in the Visual Builder? – why use dynamic data? I could understand f you had a database of Sermon Custom Posts and Divi had tools to make selections from that data available using some form of selection (be that manually from a dropdown/list etc), but just making field that you are going to load in the VB seems like a lot of extra work for no gain – other than not having to use the VB? Yep, same point for me. I don’t really see the point of using custom fields here. 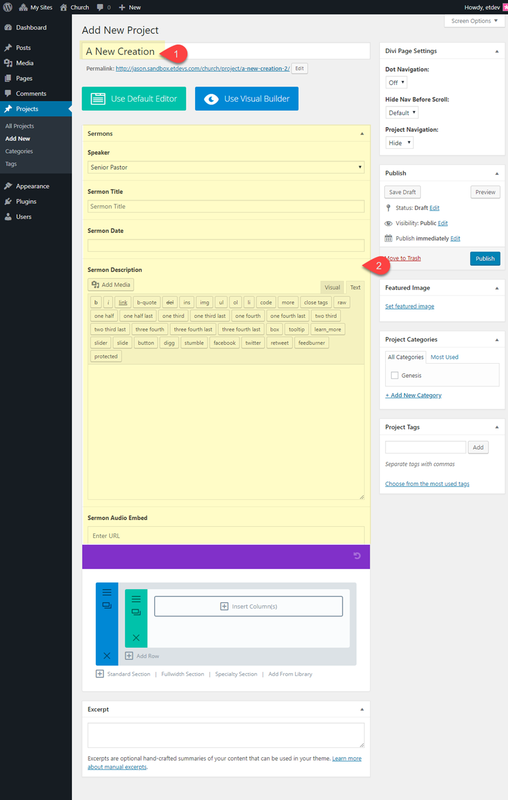 It would be more straightforward just to import a premade layout from the library and edit the content directly in the imported layout. 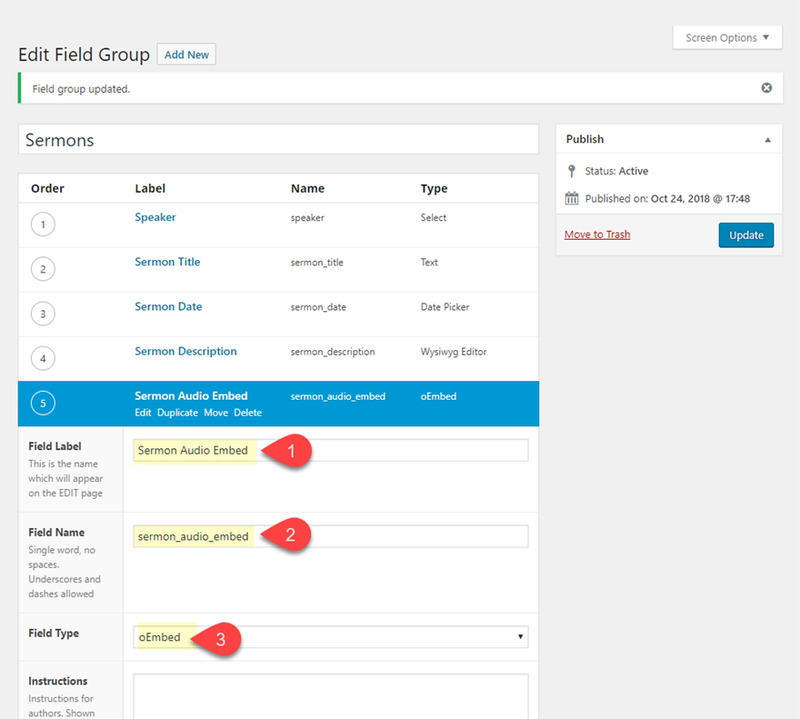 You might save a few seconds by using custom fields as you don’t have to open and close the modules, but still, why so much pain in emplementing ACF just to import raw data from the field to the divi modules? But that is not possible in a text module as it imports only the raw data from one single field. We still have to import a layout anyway, so why not just edit the layout itself ? 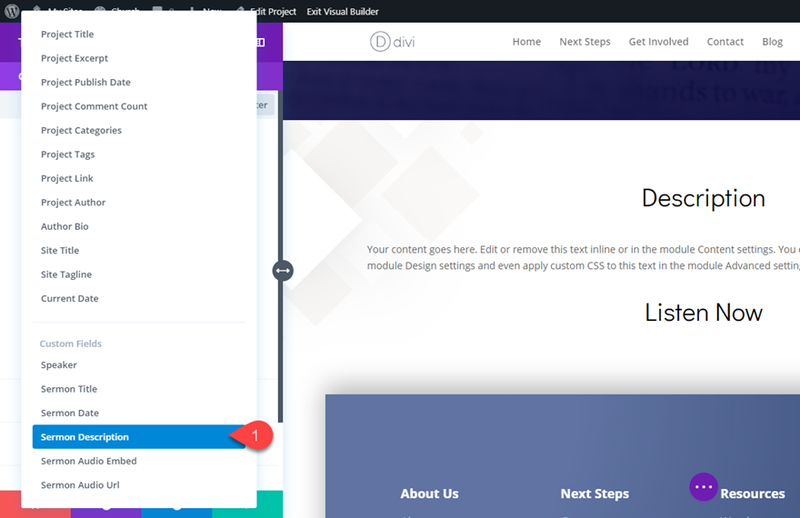 Sorry guys, so far I don’t see the real benefits of using custom fields with divi builder as we can directly type the output in the divi modules, instead of typing it in the custom fields. 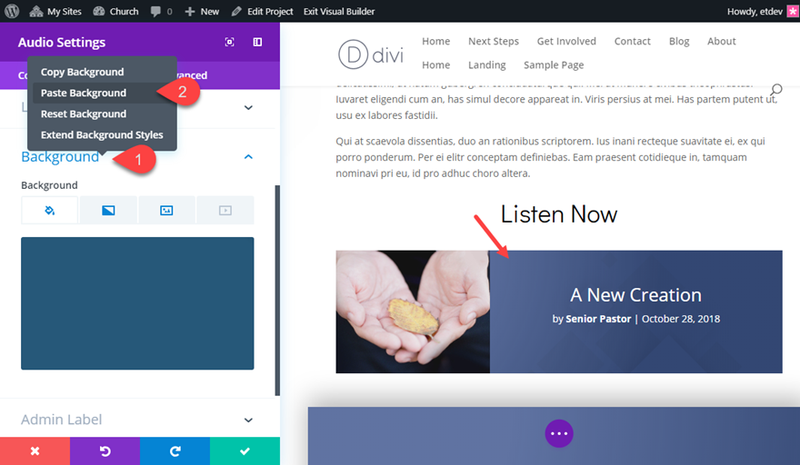 I actually could see the point if there were some kind of theme builder to make post templates using the divi builder, and if we could just select the post template and fill in the custom fields. Please, no hard feelings. I’m still a divi lover ! I’m needing EXACTLY that functionality. Does anyone know if it will be added soon? 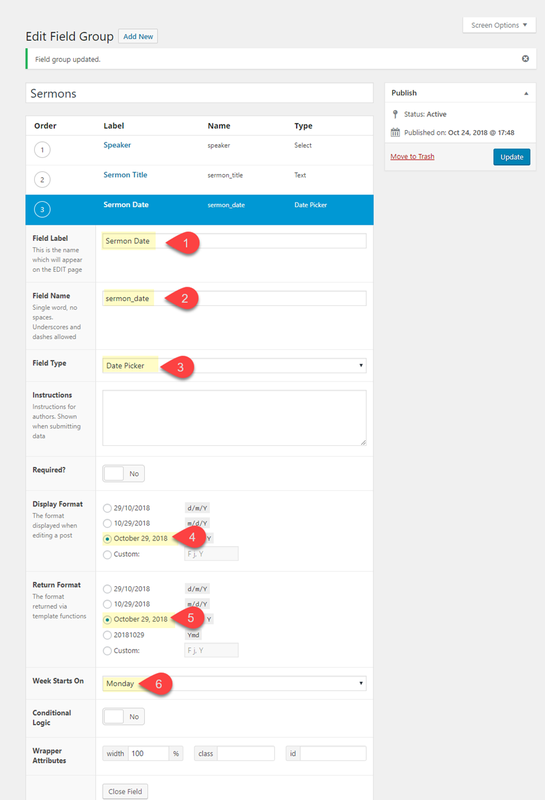 Having some sort of custom fields shortcodes would be great. I can see your point Paul. It’s not for everyone. 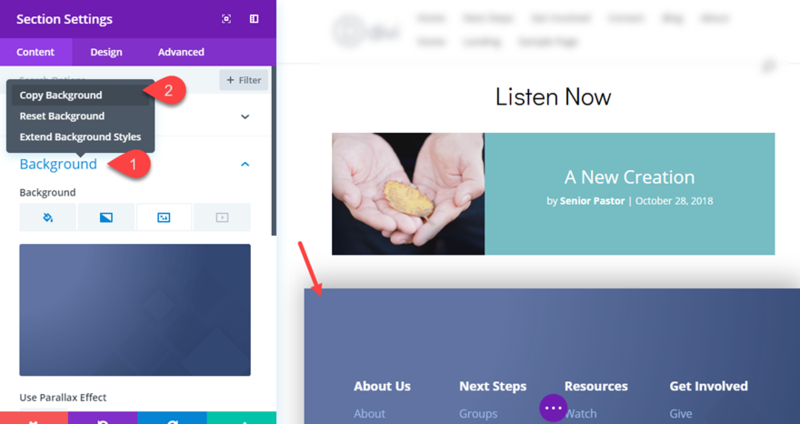 However, for some clients, having a few custom fields to update is a lot easier that searching for those elements inside the visual builder. Thanks for the input. Yes Jason, I can certainly see that side of things as well and I hope I don’t sound ungrateful or rude – many of the articles here are interesting and inspirational (thank you). This is such a frustrating time using Divi when you’ve seen what Dynamic Data can do. 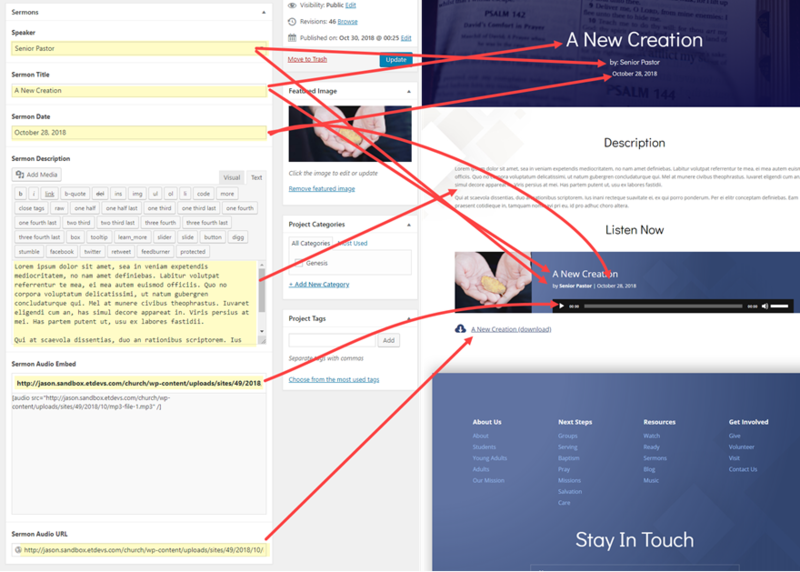 Dynamic Data is an obvious requirement for the templating system going forward, but I really hope something, even as basic as Dreamweavers 15+ year old Recordset and Repeat region functionality are brought to Divi by ET (rather than 3rd party plugins). 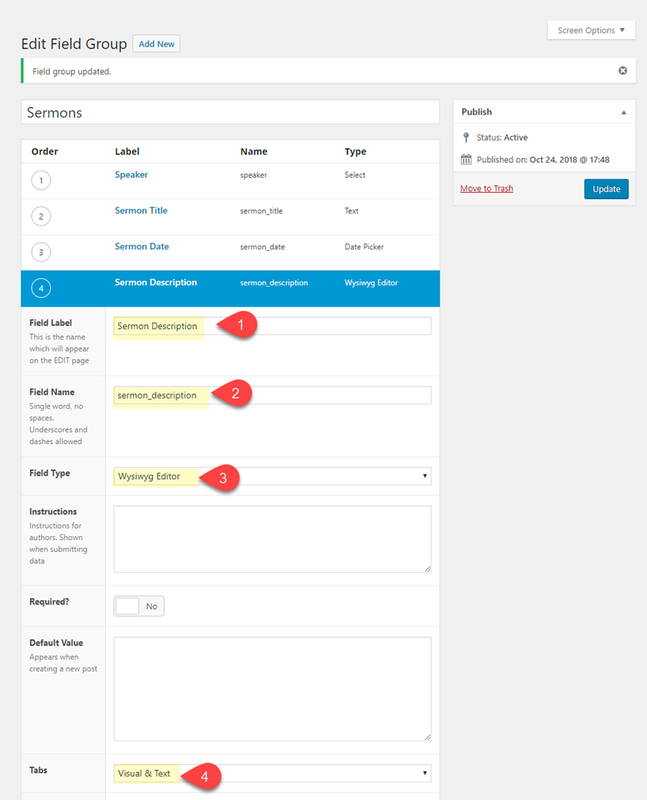 Having built whole sites dynamically this way many moons ago (where users simply filled in boxes in a custom PHP CMS, very much as you just shown, albeit not inside WP) it has been a constant frustration ever since that there has never been a true ‘One Stop Shop’ for dynamic data in a builder for WordPress (yes – other builders and/or plugin combinations are available). 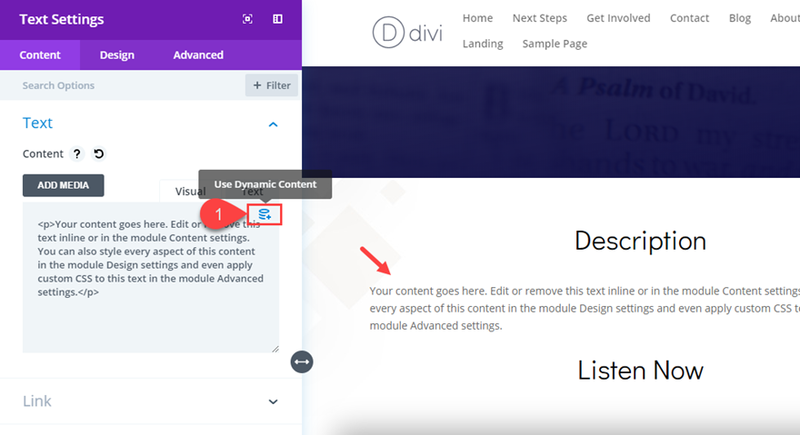 Having Divi to take care of the styling nitty gritty is fantastic….being able to combine that with even basic Dynamic Repeat and Show/Hide options on Sections or Rows or Modules within Divi would transform the builder. With the right tools, once the data is independent from the design – web page design and reporting options rise a whole magnitude above what can currently be achieved. 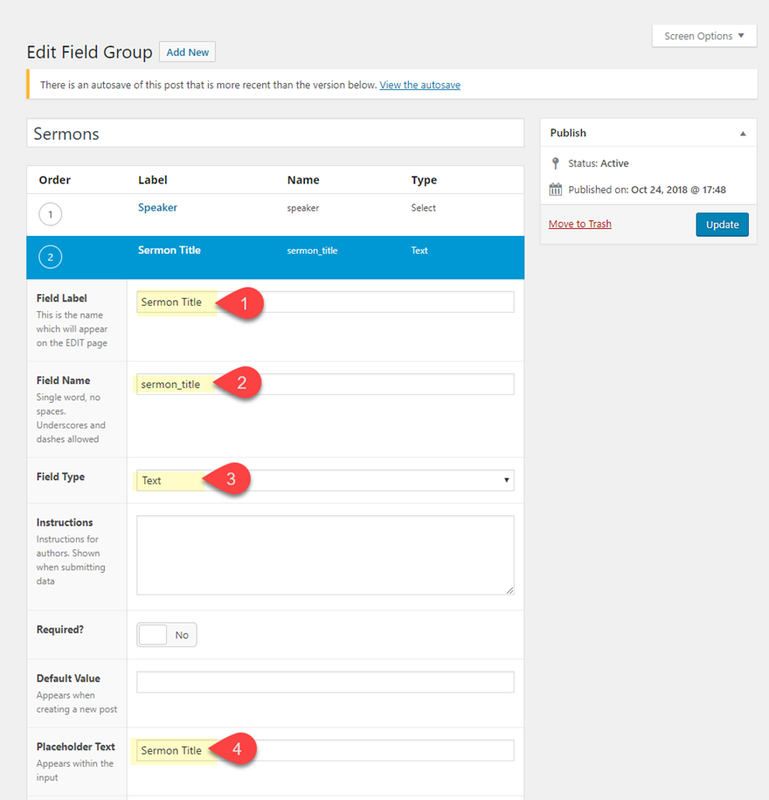 Dynamic data has already been added – at a basic level, you just need to add a query system, wrap the Sections/Rows/Modules with a new ‘Dynamic Parent Module’ and increment the data for each repeat. Just stopping dynamic data development at templates (IMHO) would be such missed opportunity for ET and its users. It made me smile to see how excited Mak got with the recent update (on his live Dynamic Data video) On that basis I think he’d probably explode with joy if Divi has just a few extra Tools/Modules of its own for handling it (not that we want to see him explode). Fingers crossed that the feedback has some impact. Thanks, Paul. Your feedback is definitely much appreciated. I wish I knew more about the detailed plan going forward to comment, but unfortunately I don’t. 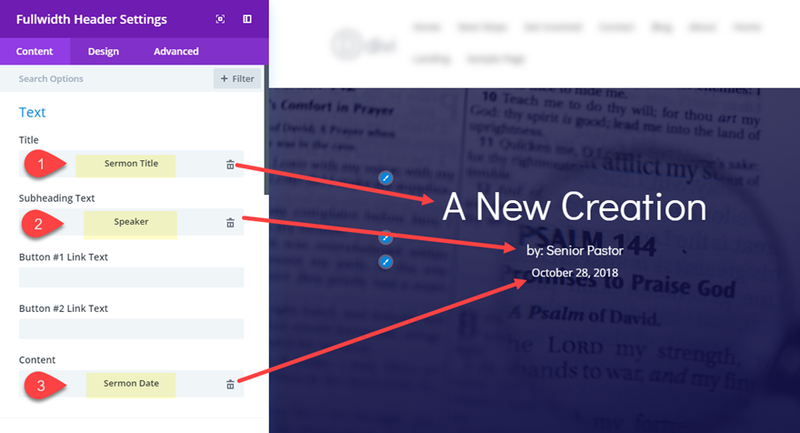 How does this compare with functionality provided by plugins such as Sermon Browser and Sermon Manager? Would they be easy to integrate into the church layouts? 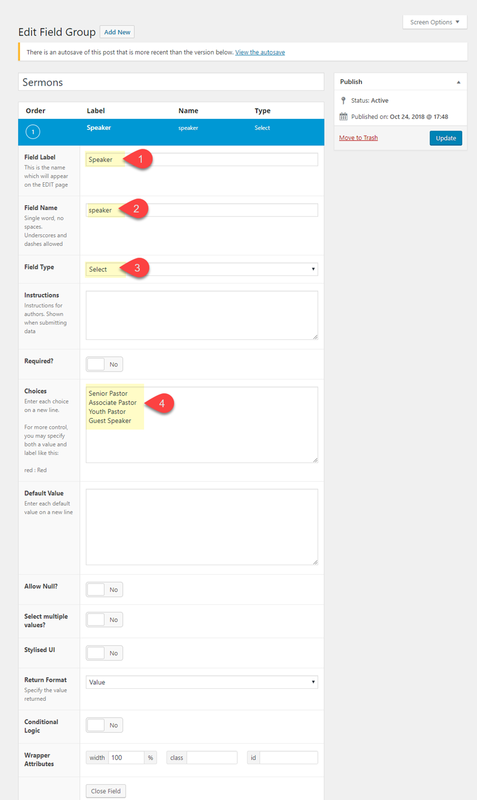 The layout itself doesn’t integrate with anything but should be able to be used with a number of different plugins. 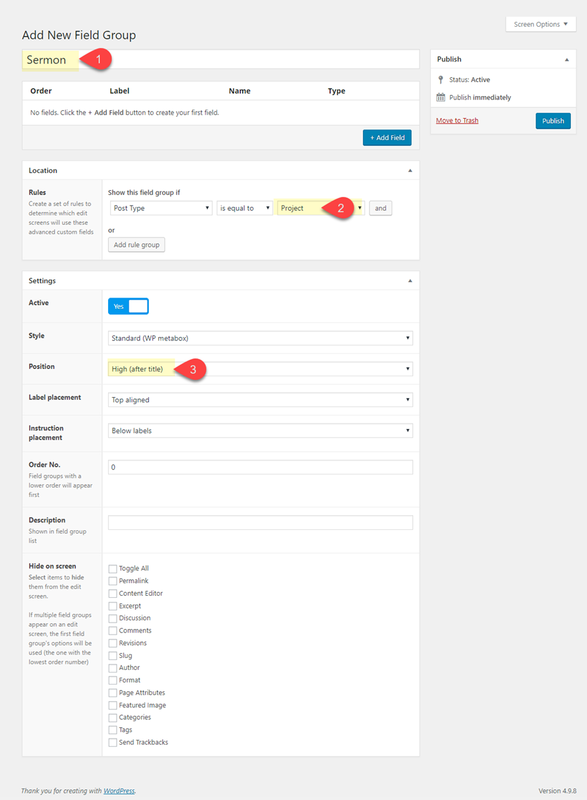 Especially if they have shortcodes you can use within Divi modules. 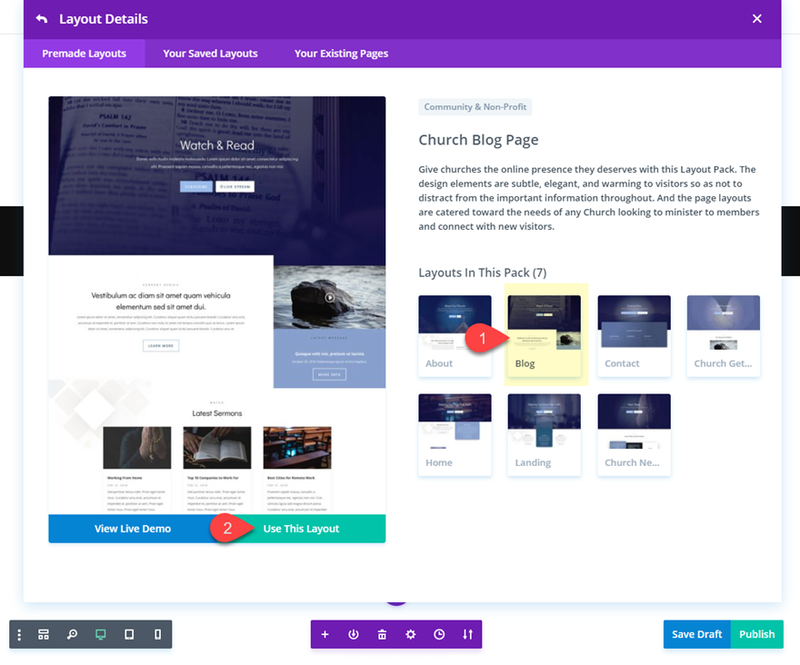 I do know however that Sermon Hub (which we did a plugin highlight of not long ago) is specifically designed with Divi in mind. Thank you! Is there any way to add a “counter” to the audio player? I feel that’s one thing that’s lacking with most WP audio/video players. 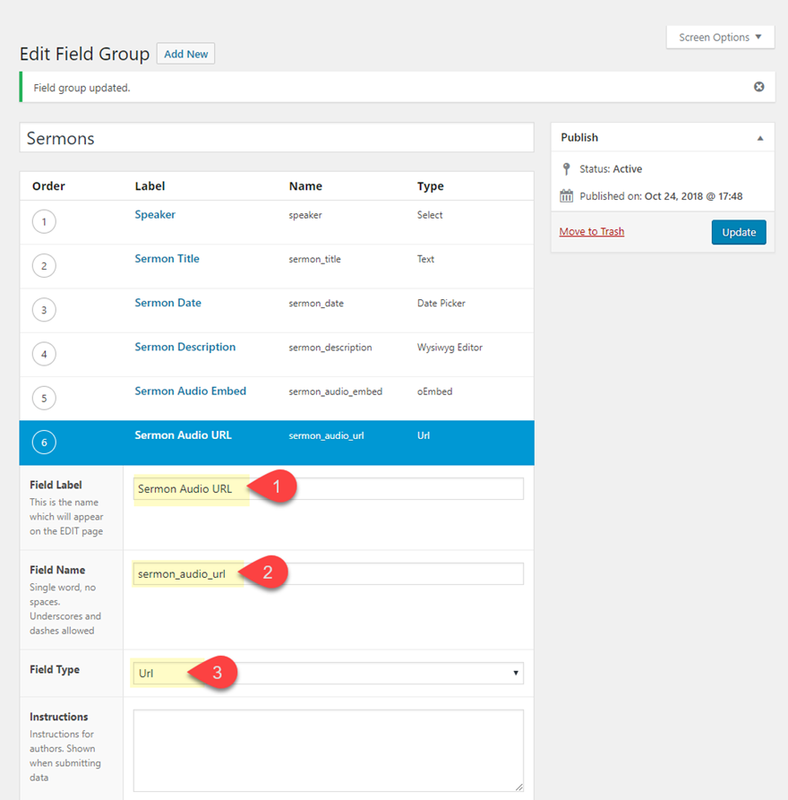 Just a note: after editing, if you come back to the project (to update some field for exemple), the dynamic fields are hidden! I can’t find them. normal? thx. 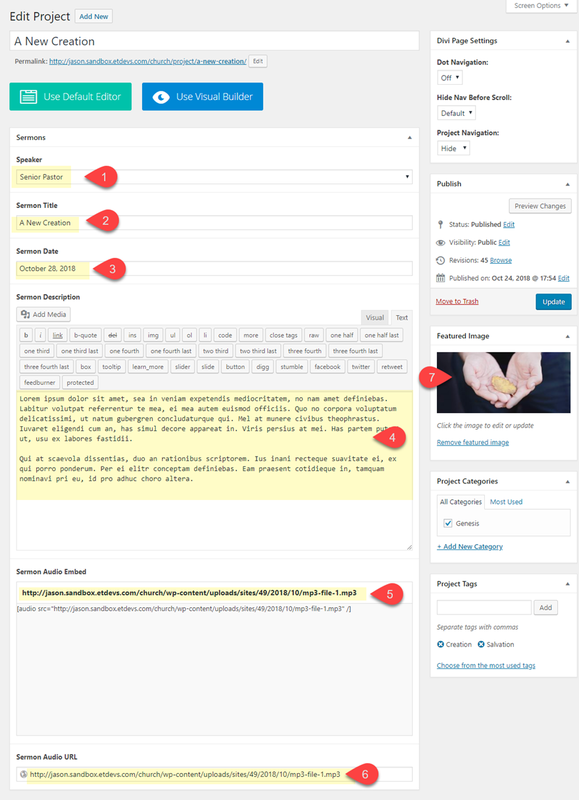 Another note: if I want to edit a second sermon, I can’t duplicate the first project (not with WordPress, yes? 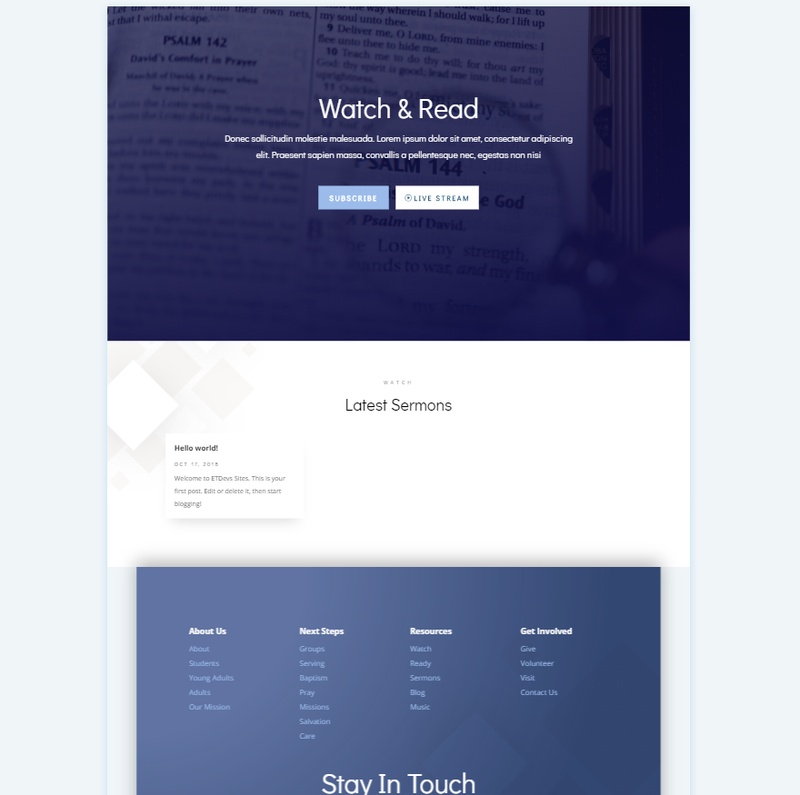 ), so I have to create a new project and load the layout of the first from the Divi library. 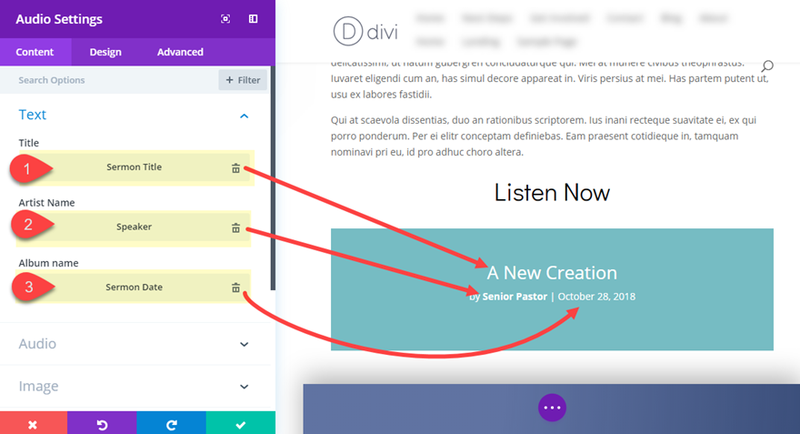 So it’s necessary to manipulate Divi; dynamic field are not so useful, we have to work with Divi too for a new projet/post. Or do I miss something? thx. I have a question about dynamic content. 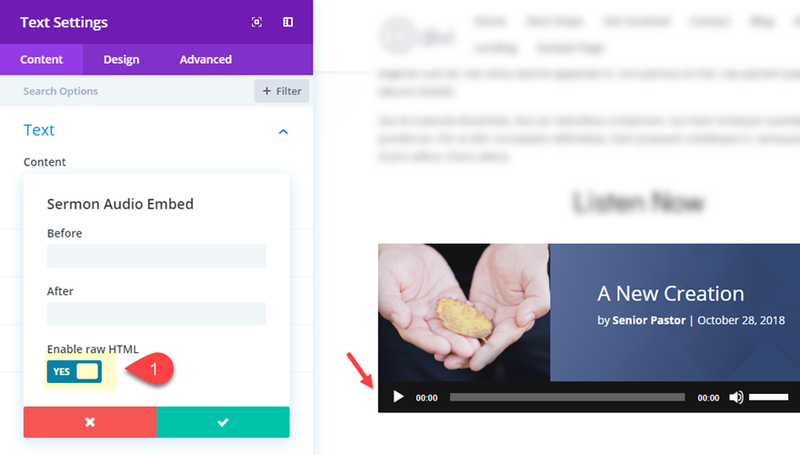 Is it possible to use dynamic content in posts (or projects) only if the layout is built into the body of the post itself? 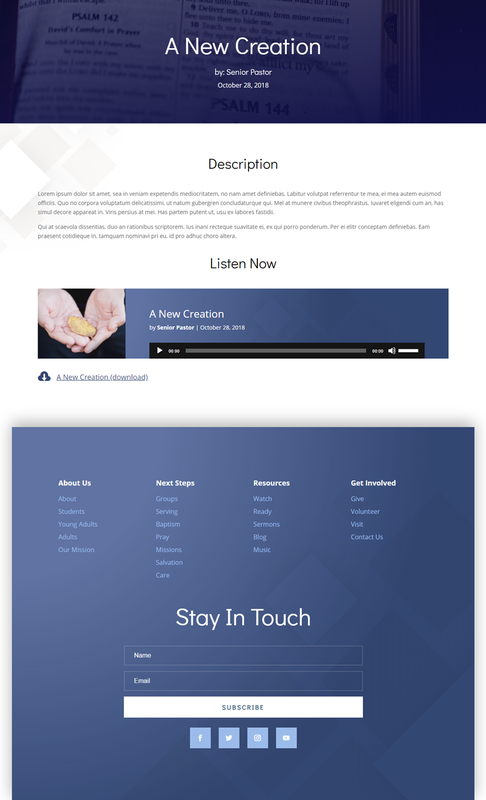 Or can I create a “template page” that would serve to open the posts (or projects)? 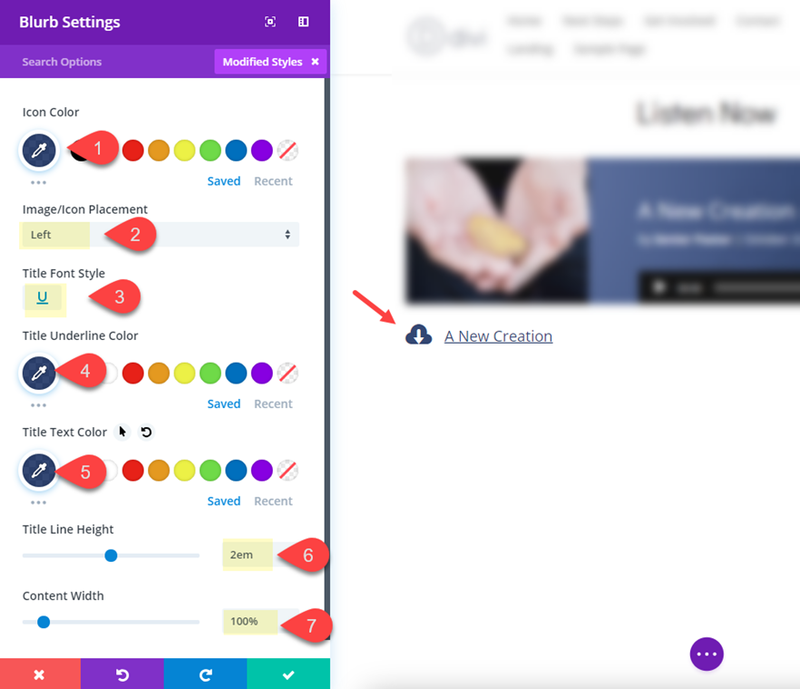 If it is not possible to use template mode, is there any expectation for such an idea in the future? I must be missing something. 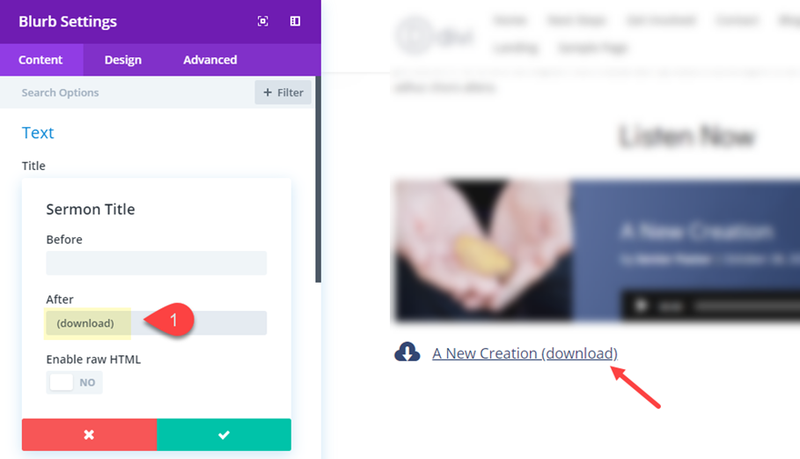 When I begin the project, I can see the custom fields with the default editor, but once I begin to use the Divi builder, the custom fields disappear along with the default editor and do not appear anywhere on the screen. I really believe it’s time to take “Divi” to another level. It is very frustrating to see a builder with so much potential leaving things significantly essential behind. 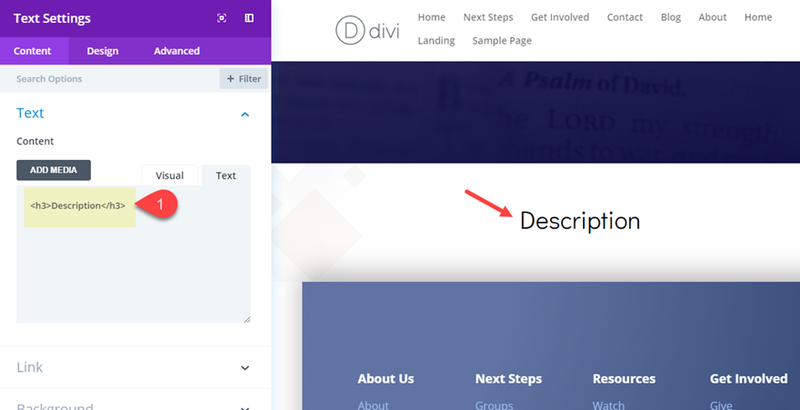 For example, the body field in dynamic fields, if I capturing the body of the backend I would not have to pull the layout in the frontend and write the content (Dynamic body does not exist in “Divi”), it would come straight from the backend and save me a Herculean work. Also the questions regarding global modules (Sneak-and-peak) not yet delivered. I will remain firm in learning the “Divi” believing that soon it will become grandiose and systemic and not just visual.